This seminar will cover a range of topics related to international adoption and will review our adoption programs with Ukraine and Bulgaria and other countries. Registration in advance is required as seating is limited, please reserve your place today (registration deadline – November 15th, 2017). To register, please call us at (204) 947-2953 or email: infouas@mymts.net. 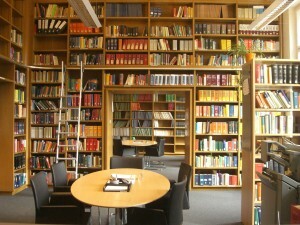 Time: Start 9am; Finish 5pm. This entry was posted in Educational Seminar, Events on October 23, 2017 by admin. This seminar will cover a range of topics related to international adoption and will review our adoption programs with Ukraine and Bulgaria. Registration in advance is required as seating is limited, please reserve your place today (registration deadline – September 30, 2016). To register, please call us at (204) 947-2953 or email: infouas@mts.net. This entry was posted in Events on September 12, 2016 by admin. Reminder! Special summer BBQ for UAS families and friends. Mark your calendars! WHEN: Sunday, June 1st between 3-5pm. 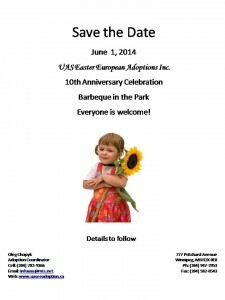 This year UAS Eastern European Adoptions Inc. is celebrating 10 years of helping children find their forever families. The UAS Board Members, along with our volunteer team, invite you to join us in celebrating this fantastic milestone. We are very excited for the opportunity to re-connect with all our families on this wonderful occasion. This entry was posted in Events on May 13, 2014 by admin. This year UAS Eastern European Adoptions Inc. is celebrating 10 years and our UAS Board Members and volunteer team is looking to celebrate this fantastic milestone with events and special announcements throughout the year. 3) It will be at no cost to our families. We are very excited to have achieved this incredible anniversary milestone and are very anxious to see and re-connect with our families and friends. This entry was posted in Events on March 4, 2014 by admin. Through our Harvesting Hope Program which is the donations branch of our organization, we are currently campaigning to collect items for orphans ranging in ages from newborn to 18 years. We are dedicated in supporting the many orphanages caring for needy homeless children in Ukraine and other Eastern European countries. To date, we have shipped 10 Tonnes of donations to orphanages across Eastern Europe and we are asking you to help us as we prepare another shipment to arrive for the Easter Holiday (which is May 5 – Orthodox calendar). We collect gently used clothing, footwear, toys, school supplies, as well as hygiene and medical supplies. 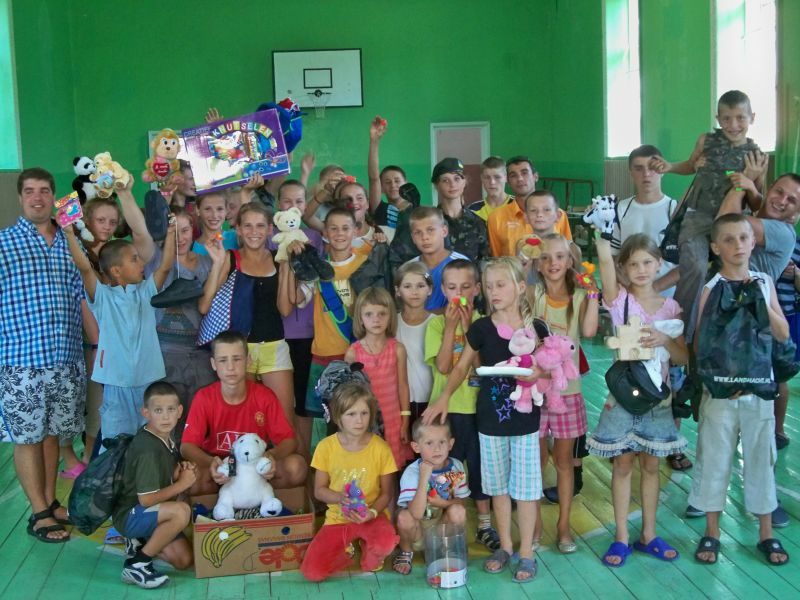 100% of your donations (items and/or monetary gifts) goes directly to these children thanks to our team members overseas that receive and distribute the items and funds. Money received will be used to purchase needed items overseas (where your dollars will buy more), as well as provide the older orphans leaving the orphanages due to age limits with life skills training and materials. Please help us make this Easter campaign a huge success by supporting our cause and giving what you can. Please bring your items to 777 Pritchard Ave. between March 4th and March 23rd. 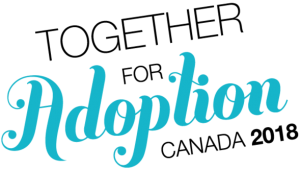 Kick off Adoption Awareness Week in Manitoba! 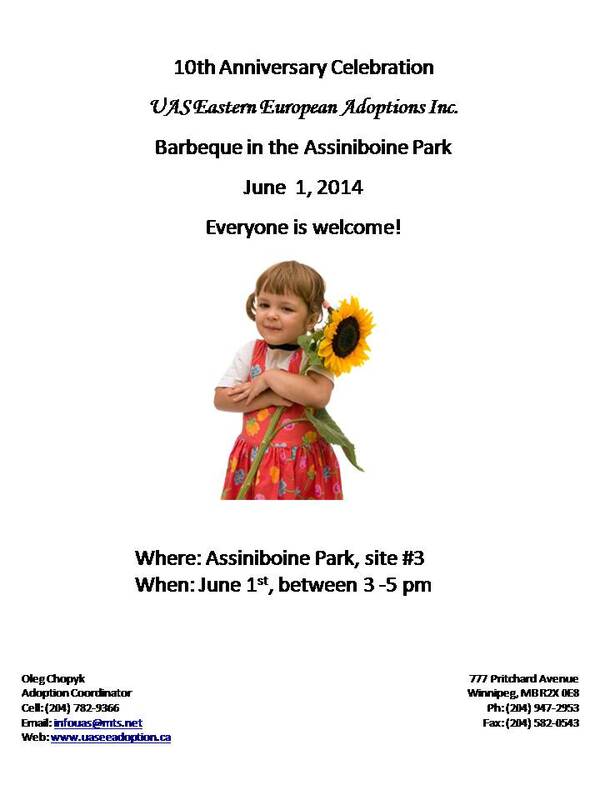 Please join us at our Celebrating Adoptions Event. Interested in adoption? 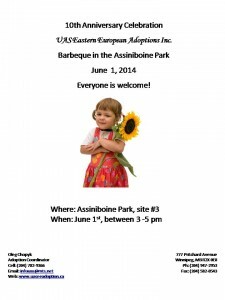 Want to meet dozens of Manitoba families who successfully adopted children from Eastern Europe? This entry was posted in Events on October 23, 2010 by admin.